If you’re looking for ways to get out and about to join in with the festive activities in Coventry this December, we’ve rounded up our top four Christmas activities. From crafty creations to vintage sleigh rides, we’ve got your Christmas calendar sorted. Plus you’ll still have time to cosy down with a Christmas film and box of quality street at home afterwards. You’re welcome. Still got presents left to get on your list? Here’s the chance to browse and buy independent art, crafts or gifts for Christmas at Coventry’s FarGo Village Little Makers Market. There’ll be 30 stalls to visit plus live performances, tasty street food, mulled wine and more! How about hanging up a decoration handmade by you this year? 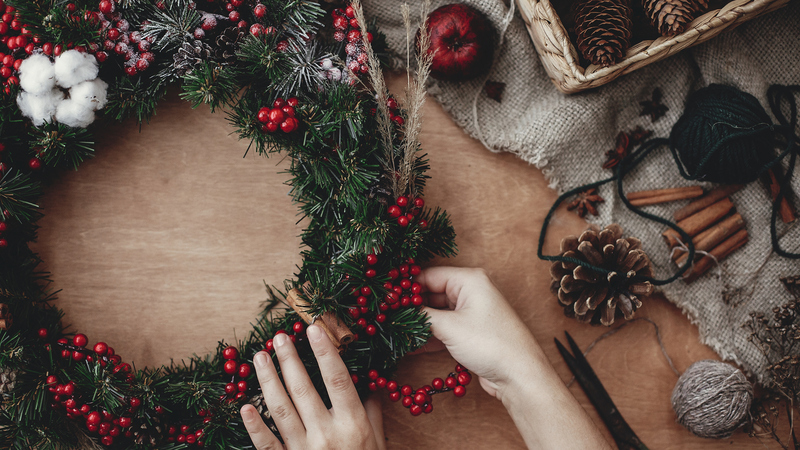 Hobbycraft is running crafty workshops across the country, from reef making to cracker decorating there’s plenty to get stuck into. There’s an upcoming hanging decorations workshop at Hobbycraft in Coventry where you can design your own ceramic star for only £2, with £1 going to the charity Short Lives. It’s time to go back in time to when Santa didn’t have a SatNav, on a vintage sleigh ride at Coventry Transport Museum. Little kids and big kids will enjoy sitting in the sleigh as it takes you on a journey to the North Pole to meet Santa and the chance to explore Museum’s Winter Wonderland. The famous sleigh ride has been going in Coventry for 60 years and has been lovingly restored thanks to the support of local businesses. Looking for the perfect festive foodie experience in Coventry? Take a trip to the city centre where Christmas chalets have been set up, offering a choice of delicious food and drinks. Local brewery Dhillons will be there selling their craft beers and IPAs, plus there’s the Real Yorkshire Pudding Wrap Company, and a delicious doughnut stand also selling Unicorn White Hot Chocolate. What doesn’t sound good about all of that? We love being based in Coventry, the City of Culture 2021!